Tucker's approach to endurance saddles is unlike anyone in the industry. Creating light saddles, with superior comfort and craftsmanship has become their trademark. The Equitation style provides the ridera balanced position in the seat. Stirrups are hung from English style stirrup bars placed for easy posting. Padded flaps feature strategically positioned knee rolls. A great saddle for the English crossover rider or riders who want plenty of leg freedom and a correct seat. 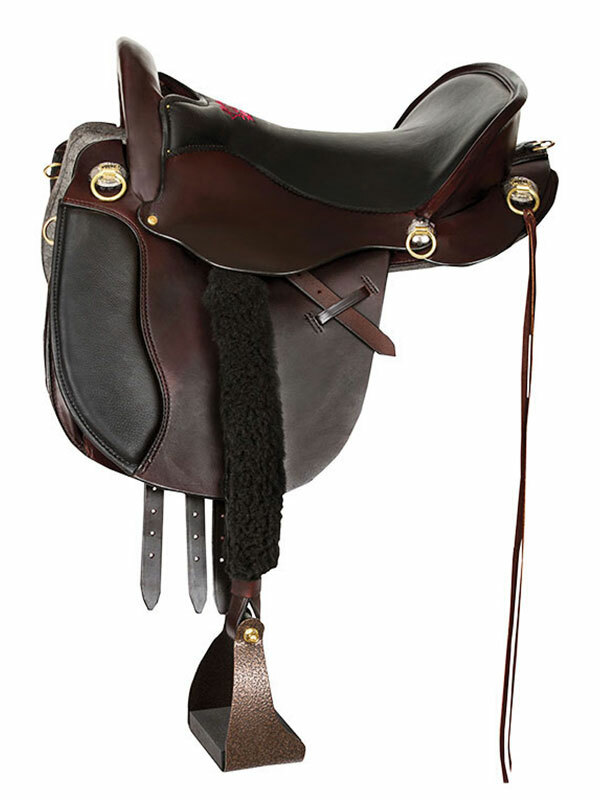 The Equitation Endurance T49 is the perfect saddle for the English crossover rider, making the transition a breeze. A great fit for riders searching for lots of leg freedom and a balanced, correctly aligned seat. The T49 features padded flaps with strategically positioned knee rolls for extra comfort, grip and security. Ergo-balanced stirrups eliminate knees and ankle strain, getting you back to enjoying your time in the saddle.